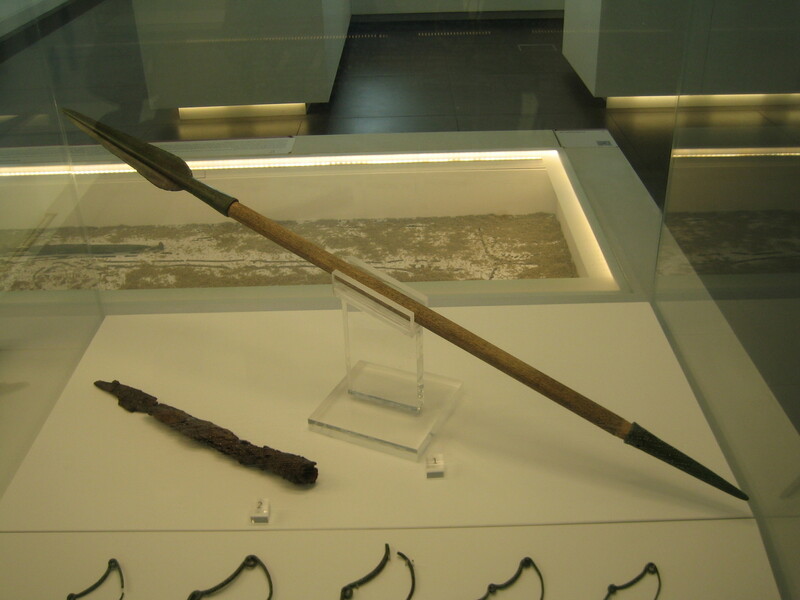 The third part of the museum showed us parts from the Bronze Age, for example this spear. 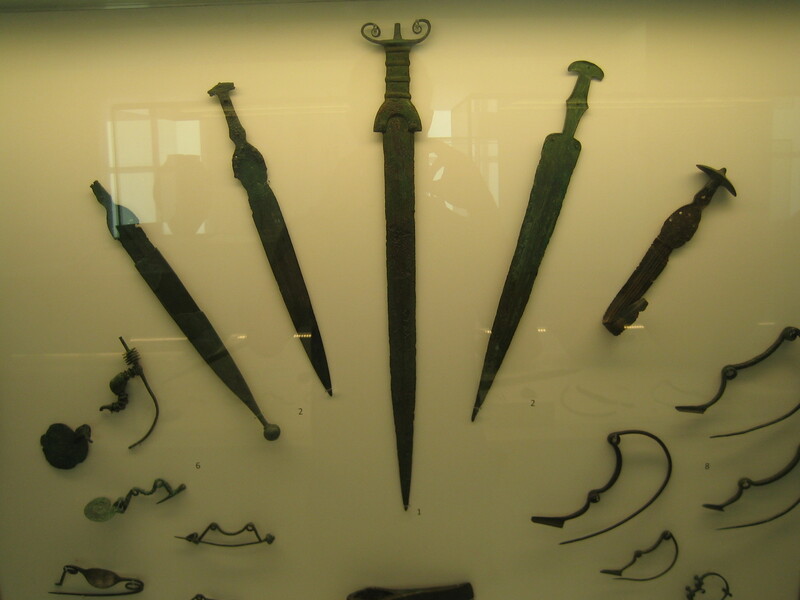 These bronze swords are typical of these times with their ornamental handle. 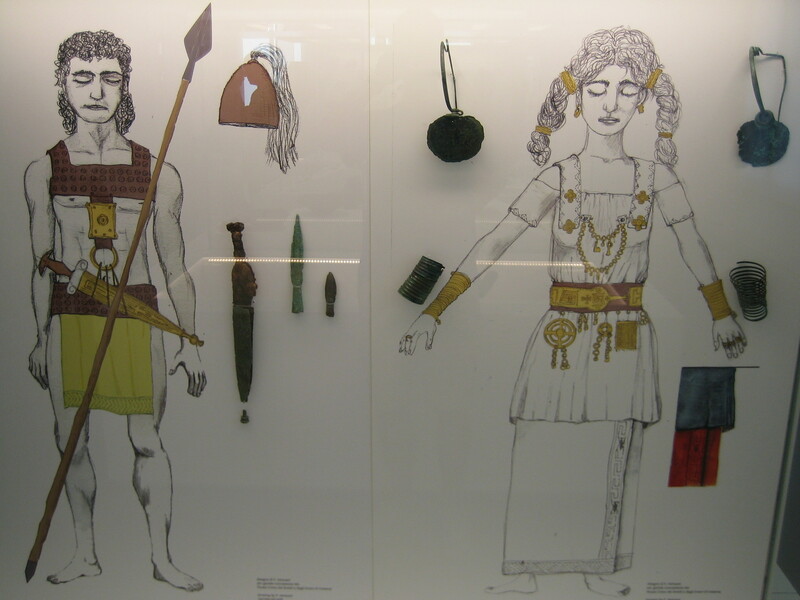 Paintings like these reconstructions of Bronze Age people help visualize the times. 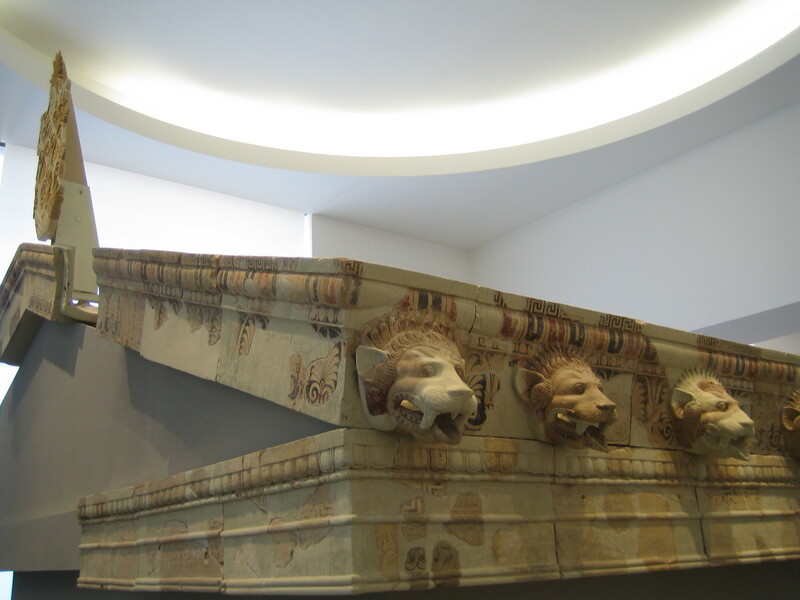 Entering the Classical Period, you see the reconstructed roof of a temple with ornamental lion heads here. This content has been entered in the Erasmus Travellers Competition and have earned 104 points.